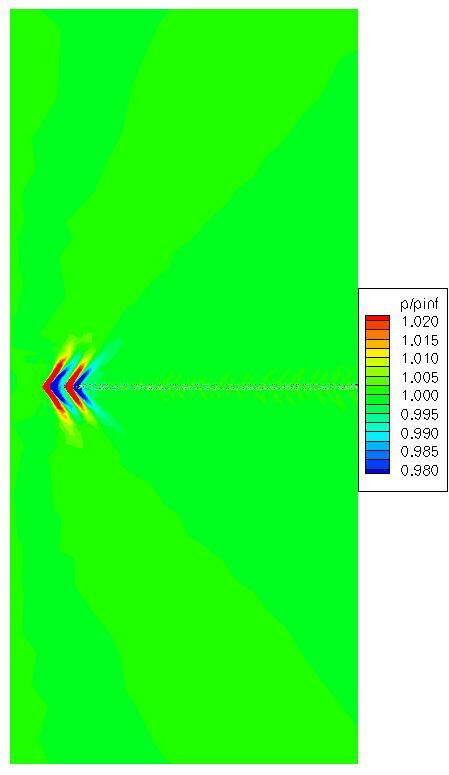 This is three dimensional Mach 1.26 inviscid flow over two tandem cones connected by a cylinder and a wind tunnel sting. This is a case taken from a 1965 NASA Technical Note1. The objective is to perform output based (adjoint) adaptation on this configuration. 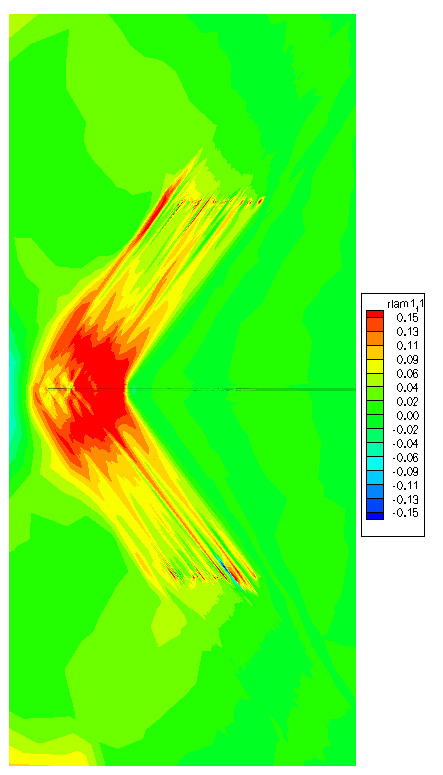 The cost function of the adjoint is pressure integrated over a cylinder with radius of 6 model lengths. 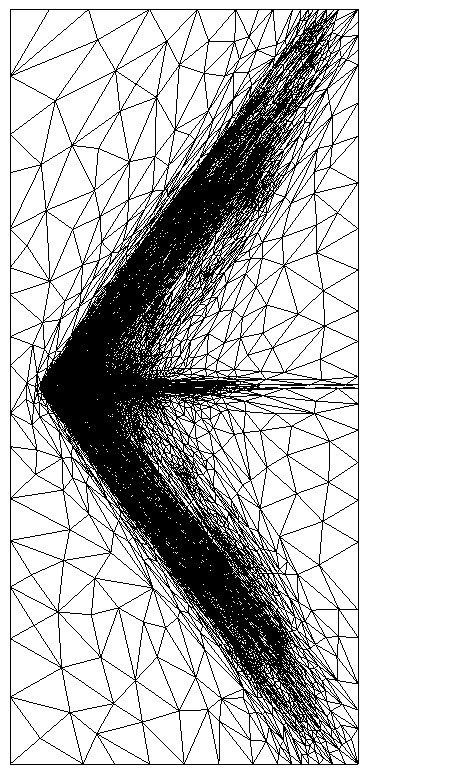 All operations after initial mesh generation (flow solution, adjoint solution, error estimation, and adaptation) are performed in parallel on 24 2.8 GHz P4 computers. 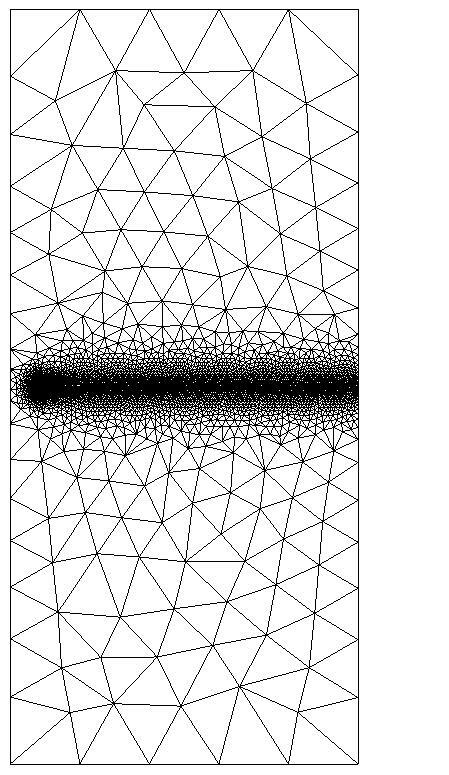 The following images show the original pressure and grid on symmetry plane. 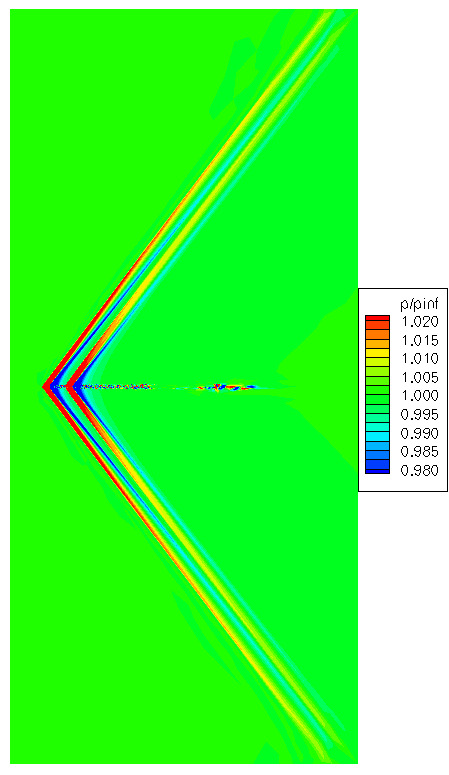 The images below show the output adaptation pressure and grid on symmetry plane. 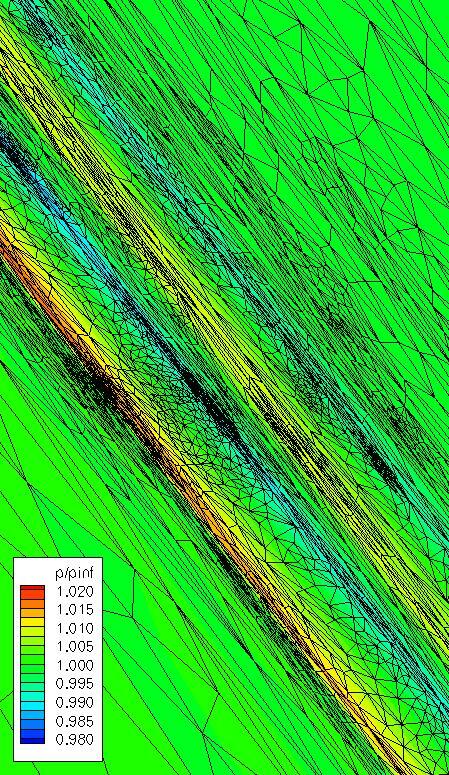 The following images show the output adaptation density equation adjoint variable for the integral of pressure over a cylinder with a radius of 6 model lengths and a close up of the symmetry plane grid and pressure contours at the lower integration surface. 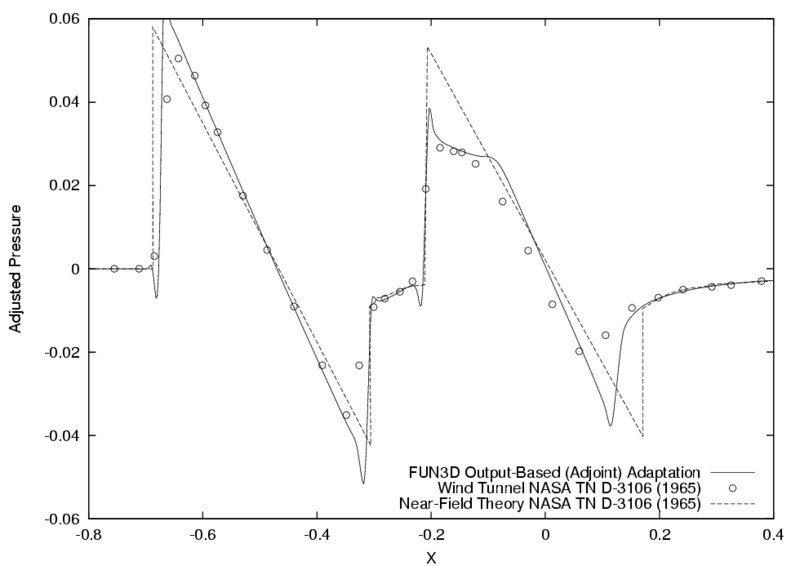 The following image shows the pressure signal at 6 model lengths comparing FUN3D output-based adaptation, wind tunnel data, and near field theory. Note that the NASA TN D-3106 was sampled from a hard copy of the upper left corner of Figure 4(h) on page 20 of the report. 1 Harry Carlson, Robert Mack, and Odell Morris, “A Wind-Tunnel Investigation of the Effect of Body Shape on Sonic-Boom Pressure Distributions”, NASA TN D-3106, 1965.